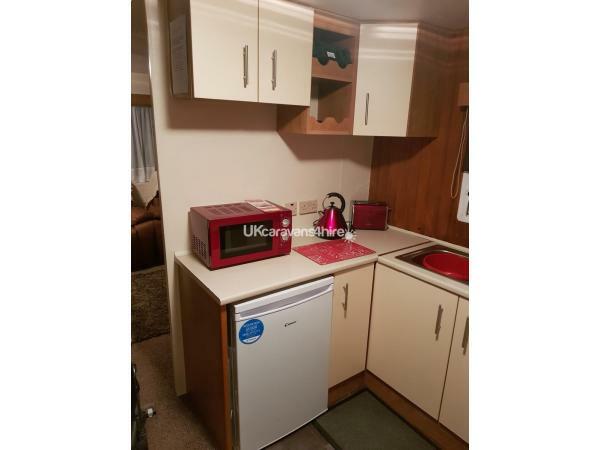 A £100 security deposit will be required to cover any breakages/damage/also must leave caravan clean and tidy or will lose the security deposit. Ive had to put the security bond price up due to people leaving my caravan a mess and not sticking to the terms & conditions. If none of the above occurs then the security bond will be returned at the end of your stay. The Caravan sleeps upto 6 people and bed linen is provided. 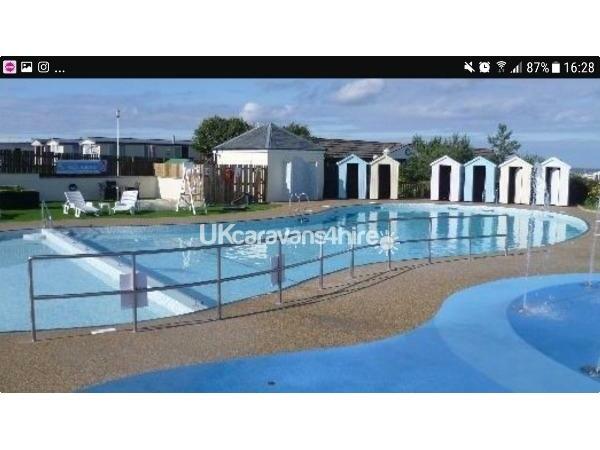 There is games , films and toys for all the family in the caravan..
outside the haven site there is a lovely golf course and is less than a five minute walk, there is also the town which is a short and nice walk. The town is great for the market which is on a Wednesday and Saturday, good shops , pubs and places to eat... There is also a beach the family will love and a big play park just up from the beach for the kids.you will love the tourist walks, bike rides to see the sites around berwick old town. Fantastic place to visit. Additional Info: There is a Club for the family. entertainment, bingo, music, live bands and ofcourse bradley bear and his team. There is an Indoor and outdoor pool, the kids will have a fantastic time. Activities on the park for everyone, Amusements, ten pin bowling and painting etc...There is also a Kids play park and football court. Nice place to have something to eat and drink with the family. There is an on site shop for all your bits and bobs, There is also a laundrette, reception with lovely staff to help you with anything you need to know. Had a great holiday, My two children had a wonderful time with the toys and games provided in the caravan. Lovely and clean place to stay.Bedrooms are beautiful and the bedding is lovely and fresh. Kitchen provided everything you needed and more. 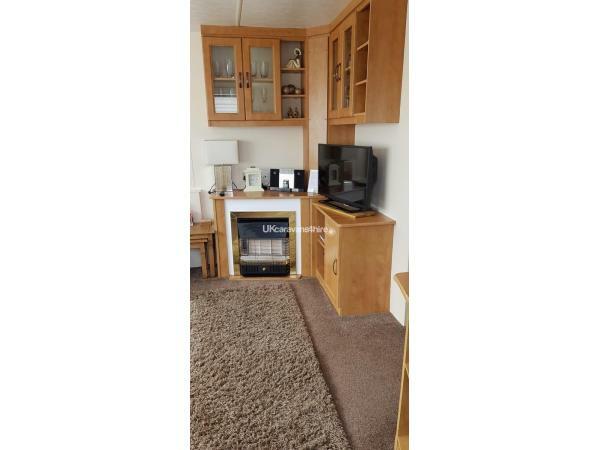 Fabulous location as its near the beach and the kids play park. Very friendly customer service from the owner. Lovely and warm caravan. Will be booking again in the near future. Great value for money. Spent an absolutely fabulous week in this caravan. It had everything you could possibly need and more. Exceptional furnishings. All the bedding you need to stay warm. Unexpected partial sea view. Cleanliness was outstanding, can't speak highly enough of this caravan. The owner also responded really quickly to any correspondence. Thank you very much for the positve feedback. We are 2 couples who have been to this caravan 2 years running. Last year we thought the caravan was outstanding but this year it was exceptional. 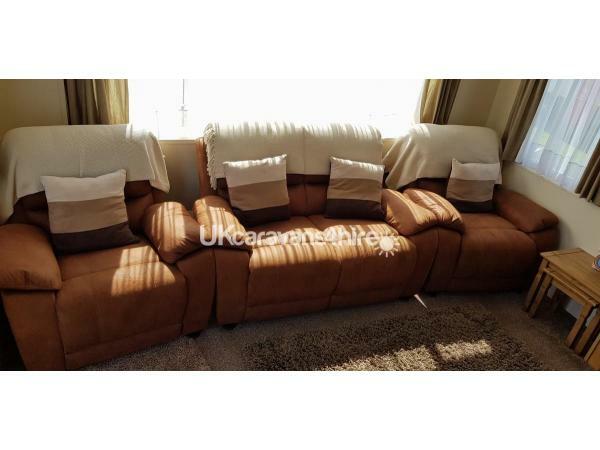 It had been redecorated to a really good standard and the seating replaced with a 3 piece suite. There were lots of added extras above and beyond what you would expect to find. It was spotless and had everything you needed. We were so pleased when the owner agreed to let us book again for next year. 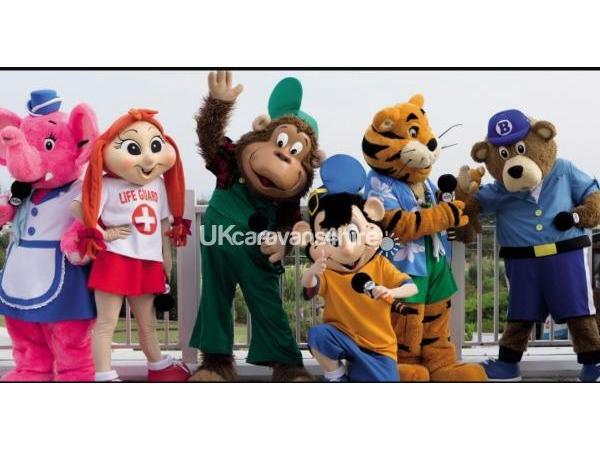 I would definitely recommend booking this caravan if you possibly can you definitely won’t be disappointed! Can’t fault anything. Easy to book, caravan had all you needed. Perfect location. Contacted owner about new gas bottle late at night and I got an immediate response and a new gas bottle was fitted within 15 mins. Had a great time and would book again. Lovely start to our break ,caravan spotless and a lovely bottle of wine in the bedroom .Lovely clean park and great walks and places to visit .great value for money would recommend to everyone .Tha van was short of nothing that you needed and also things you didn't know you needed . Thanks for the review Jacqueline. Sorry customer service at haven reception wasnt 100% helpful to you. They are ment to be 100% helpful all the time. Glad you had a great time in my caravan. We have stayed here a few times and always have a lovely time! The van is always clean and tidy and has everything you need! It’s also the best value, nowhere else is as cheap for a week during the kids summer holidays! I would definitely recommend staying here! thank you for the review helen. Glad you have a lovely time in my caravan. I stayed in this caravan for the 5 day Oct week with both my children. The caravan has a lovely homely feel about it. The bedding is extremely soft and the cleanliness of the caravan is lovely too. My children loved the games and dvds and I myself even had a lovely read of a book which the owner kindly provided. 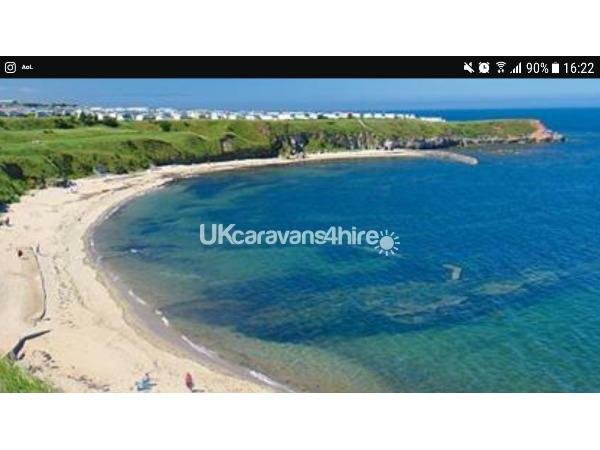 I would highly recommend this caravan as it’s views to the sea is beautiful and a short walk to take with family. Price was value for money and I will consider rebooking this van in the future. Things such as washing cloths, teatowels, washing up liquid and all cleaning materials were provided and again proved invaluable during the stay. Oh thank you so much for the review. That was very kind of you. Glad you all enjoyed your stay.